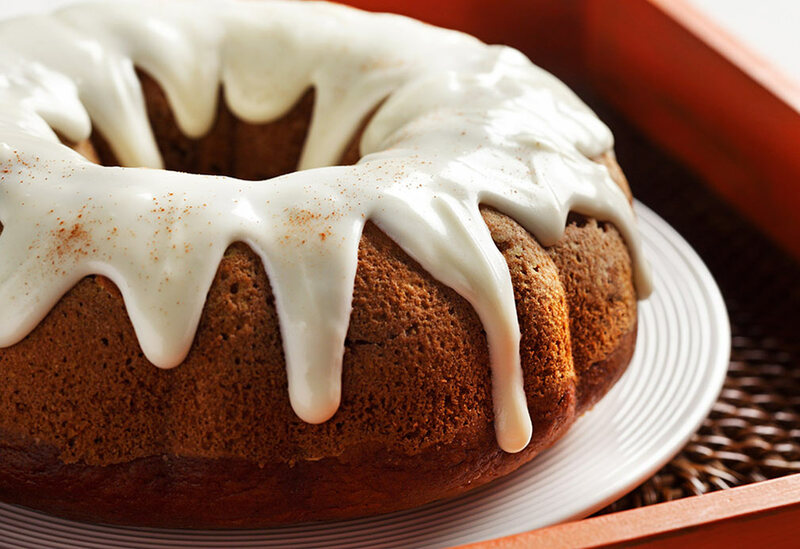 Canola oil and the pumpkin together make this cake so moist. 1. Preheat oven to 350°F (180°C). Spray a tube pan with canola oil. Set aside. ginger and cloves. Set aside. 3. In a large bowl, combine pumpkin, sugar, canola oil, eggs and water. Blend well. Add dry ingredients, mixing only to blend. 4. 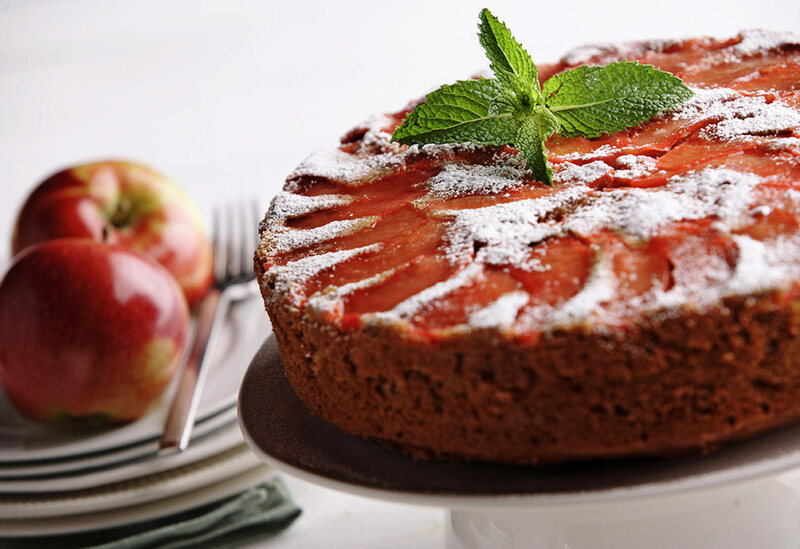 Pour into prepared pan, bake in preheated oven until a cake tester comes out clean, about 65 to 70 minutes. Let sit in pan for 10 minutes, then invert on serving plate. Make the drizzle. 5. In a mixing bowl with paddle attachment, blend cream cheese, confectioners sugar and canola oil until soft, add hot water for desired consistency. 6. When cake has completely cooled you can drizzle on top. Chocolate Chunk Pumpkin Cake: Replace the 2 3/4 cups (675 mL) of flour with 2 cups (500 mL) of flour and 3/4 cup (175 mL) of cocoa powder and add 1/2 cup (125 mL) of semi sweet chocolate chunks to the batter. 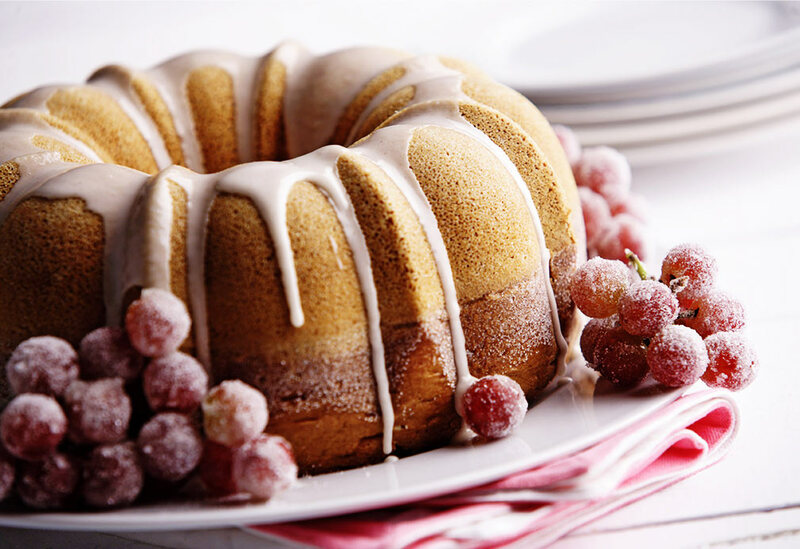 Pecan Pumpkin Cake: Add 1/2 cup (125 mL) of chopped toasted pecans to the batter. Check out the baking section of the website to learn how to convert your solid baking recipes to canola oil. 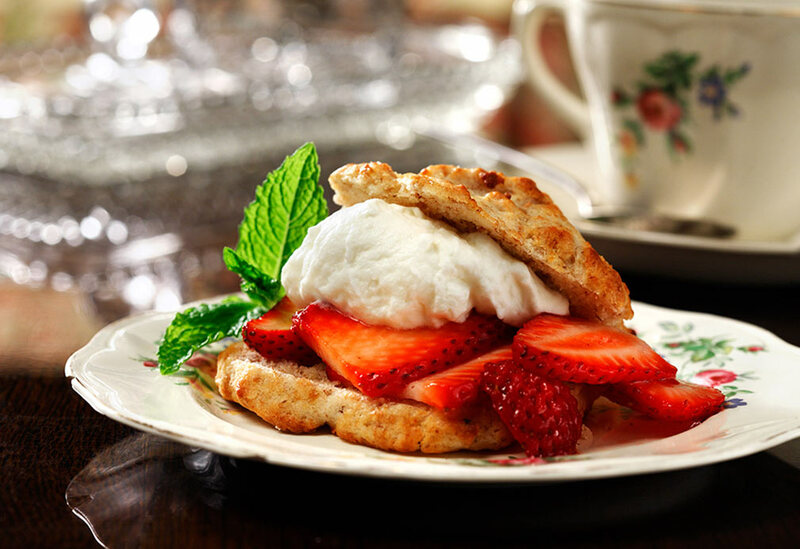 This recipe celebrates summer with all the luscious flavors you expect from this all-time favorite dessert, but in a healthier and easier way. The biscuits are made better-for-you with canola oil instead of butter and half whole-grain flour. They are simple drop biscuits; no rolling or dough-cutting required. And the whipped cream topping is lightened with Greek yogurt for a subtle tanginess that beautifully complements the fresh berries. Baking with canola oil can reduce you saturated fat intake.